Each month, we offer up a trip or trick on how to maximize the value of your WarehouseTWO subscription. Here are the monthly tips for 2016. January: Schedule your automated inventory data downloads (from WarehouseTWO’s server to your target FTP server) for between 4:00am EST/EDT (08:00 GMT for EST, 07:00 GMT for EDT) and one hour prior to your scheduled start of business. Doing so will capture the most currently posted inventory data, while making it available to your ERP system prior to the start of your business day. February: Schedule your inventory data imports into your ERP system between ten minutes after when your export of data from WarehouseTWO’s server occurs and one hour prior to your scheduled start of business. This will ensure that the freshest data will be in your ERP system when your employees start their workday. March: Searching by Description is a key word search only. For example, entering “hose” into the description field and then clicking the SEARCH button will yield every item for which the discrete word, “hose” appears in the description of the posted item. The result will not include items that include the words “chose” or “those” in their description fields. April: When performing an "Exact Text" search, the percent sign (%) is a wild card character. For example, performing an "Exact Text" search on the part number string "ABC%123%" will find all part numbers that start with the string "ABC" and have the string "123" somewhere in it. Using this wild card character facilitates finding items that have one or more desired base model characters and/or option codes, and for which you do not care about other options the items may or may not have. May: When posting inventory data records to a WEB MARKET location and to the special community, “marketplace: miscellaneous”, include a brand or manufacturer’s name in the beginning of the part number field and description field. 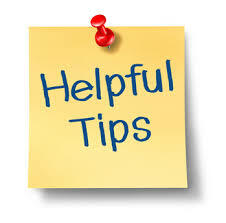 Doing so will improve the search results in Google. June: Do not use “forbidden” characters in your inventory data records. “Forbidden” characters, often not visible when displayed in your data file, include leading quotation marks, carriage returns, pipe characters (|) and tabs. For example, if your item description is displayed in more than one row, it probably includes a carriage return. Negotiate. You may be surprised by how flexible some sellers are, if you just ask. Offer to pay via credit card. Doing so reduces the seller's cost of transaction, by eliminating the need to send an invoice and collect payment. Maybe the supplier will pass on to you this cost savings, in the form of accepting a lower minimum order value. Buy something else from the supplier, to meet the minimum order requirement. In a SEARCH result, click on the part number. Then, on the Source Detail screen, click on the button, “VIEW THIS MEMBER’S OTHER POSTINGS” to view everything else that a particular distributor is offering for sale at WarehouseTWO. Buy the item from another seller at WarehouseTWO. If you do not see the item offered by someone else in a SEARCH result, send out a BROADCAST REQUEST email inquiry. Many members of WarehouseTWO do not post their inventory data. Our BROADCAST REQUEST feature helps you find "hidden" inventory. Perhaps another member has what you need, someone who does not impose a minimum order value requirement. Pay the minimum value. If you are giving exceptional customer service to a key customer, isn’t it worth the extra cost? What would you have spent to expedite and rush ship this item from the factory? August: Add details to your BROADCAST REQUEST email. The body of a BROADCAST REQUEST email is a free-form text field. Before clicking on the SEND button, edit the message box by adding information such as quantity needed, whether or not you would accept partial quantities, whether or not you would accept substitutes and any other requirements you may have. September: Auto-delete out-of-stock items by uploading the part number with a “zero” (0) quantity. If you can identify items for which you “stocked out” since your last nightly data upload, you can send additional uploads that contain these “recently stocked out” records and assigned a quantity of “zero” (0) to them. Upon receipt of such an update file, these records will be deleted from our system prior to your selected expiration period, such as “After 7 Days”. October: Populate the “Location Identifier” field in your user record. This is a new field, as of September 2016, and is therefore empty for most users. Entering valid location information into this field will activate our new “Distance to Seller” functionality on the SEARCH and MULTI-SEARCH screens. November: Populate the “Location Identifier” field in your location record(s). This is a new field, as of September 2016, and is therefore empty for most locations. Entering valid location information (i.e., one that is available in the drop-down list of locations available in this field) will improve the accuracy of our new “Distance to Seller” functionality on the SEARCH and MULTI-SEARCH screens.